Rhino poaching facts. These are the reasons our animals are being slaughtered. Brutal poaching methods have escalated in South Africa, which is currently home to about 70 per cent of the remaining rhinos in the world. We report here on the brutal methods used by these poachers and warn wildlife lovers that some of the rhino poaching pictures displayed here are very graphic. The rhino poaching statistics says it all. Therefor, 2016 figures showed a further reduction in poaching in South Africa for the second year in a row. Hopefully this the result of the various protection initiatives paying off. 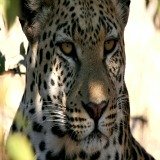 There is an increase in incidents outside Kruger National Park indicating that poaching gangs are gaining a wider geographical coverage. Demand from China and Vietnam have elevated the price of rhino horns to new levels. 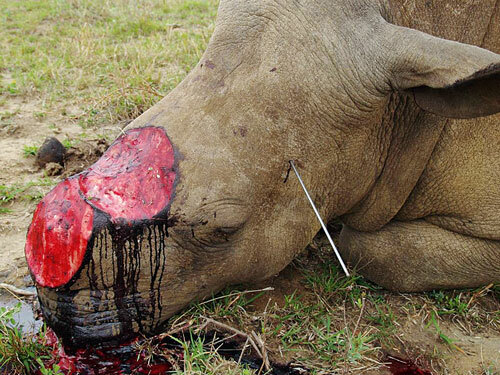 There have been reports that rhino horn has been fetching prices as high as US$50,000 per kg. This is similar to the street price for cocaine in the UK. 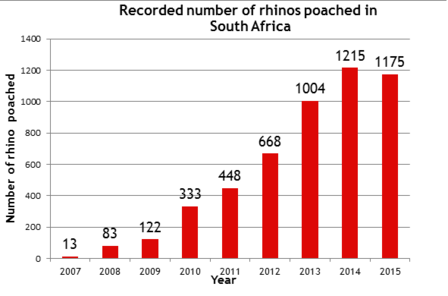 This demand has obviously resulted in a big surge in the number of rhino poaching incidents. Why are rhinos such easy targets for poachers? Rhinos have very poor eyesight and they cannot see stationery objects even just a few meters away from them. Their hearing is however very acute and they also rely mainly on their well-developed senses of smell to warn them of approaching danger. At the lower end of the spectrum of poachers you find subsistence poachers. They are usually from poor communities are driven by poverty and hunger. Their poor eyesight leaves rhinos very vulnerable against experienced poachers who are able to approach them to within a few meters before opening fire. Subsistence poachers are usually on foot and will shoot the rhino with random fire to the head and chest area, as well as the legs in order to immobilize the animal. They will then remove the horns very roughly using an axe. These poachers take high risk for comparatively little reward. They will usually pass the horns to a syndicate member after the job is done. 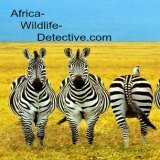 At the higher end of the spectrum you will find professional poachers. high caliber weapons to kill rhinos. Many of the poachers seem to have had military training. They will normally have prior access to information about the farm they intend to target. These professional poachers are driven by a desire for financial gain and sheer greed. This group sometimes involves experienced criminal gangs that are part of a more organized and structured group. Some of the indicators that skilled professional hunter are also involved. 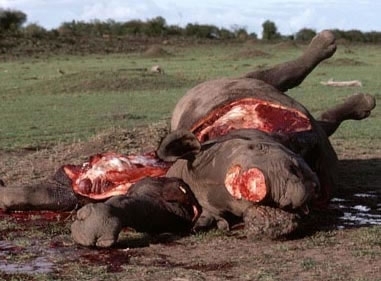 One tell tale sign is the fact that in some cases it is clear that the rhinos have been felled with one single well-placed shot to the head or body. The high-tech aerial attack will be done darting the animal from the air with tranquillizer guns. This will takes less than seven minutes to bring down the animal. The fact that highly controlled and regulated veterinary drugs are used in certain cases of rhino poaching indicates the involvement of professional veterinarians. When they land the helicopter, they hack of the horns with a chainsaw. The use of a helicopter allows for easy access and quick getaways. Several media reports have indicated that the registration numbers on the tail of the aircraft get covered up or falsified during the operation. 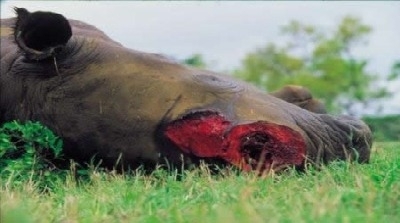 The rhino subsequently dies either from an overdose of tranquillizers or bleeds to death. One troubling fact is that the methods being used by the syndicates often reflect those used by wildlife capture operators in professional rhino management operations. The rhinos are normally darted with a dosage of lethal drugs that may result in a quick death, although some evidence shows that the animal suffered great stress before death. 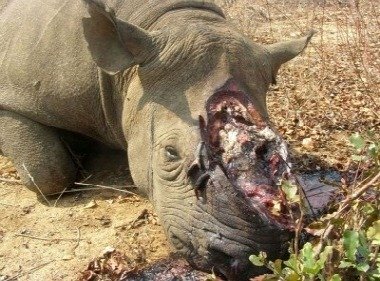 If the drug dosage had been too low to kill the rhino the animal is likely to wake during the brutal removal of the horns with a chainsaw. The severely maimed rhino will then attempt to breath through a cavity in its nasal passage between its eyes. 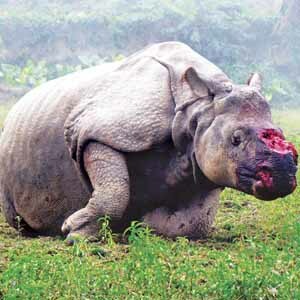 This rhino will have no sense of smell and if it survives will have a great battle to fight off any secondary infection. 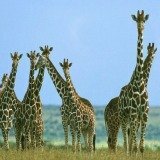 Wildlife industry insiders part of the problem? 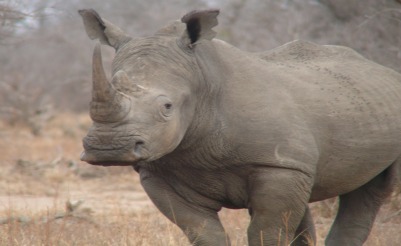 Increasing evidence links South Africas rhino poaching with wildlife industry insiders. These individuals are obviously in a great position to run wildlife crime syndicates and are typically also well funded and connected within the industry. There are also rumors that rhino poaching syndicates are penetrating the hunting industry. The hunting industry obviously has access to guns, permits, vehicles and charter aircraft making them target for rhino poaching syndicates. 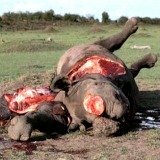 How to stop rhino poaching? Unfortunately there is no simple and obvious solution to this problem. Strong differences of opinion between people calling for legalized trade in rhino horn (to turn it into a commodity) and those against it. To establish a database of all rhino horn DNA samples. When will our rhinos become extinct? 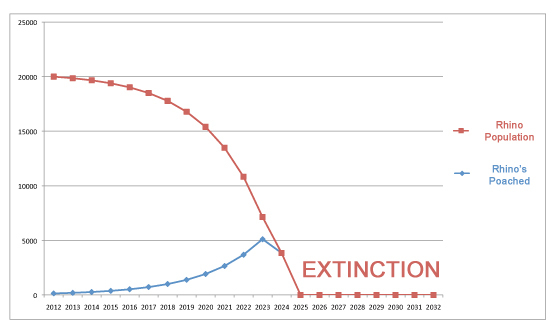 Like the graph indicates, should the current trend continue, these African animals will be poached into extinction as soon as the year 2025. The sheer extend of the challenge and the cruelty of what we are up against is overwhelming but we must definitely not give up without a fight. Rhinos have survived the ice age and rampant hunting eras of the past. The question now is - how will they survive us? We discuss our thinking about the solutions to rhino poaching here.